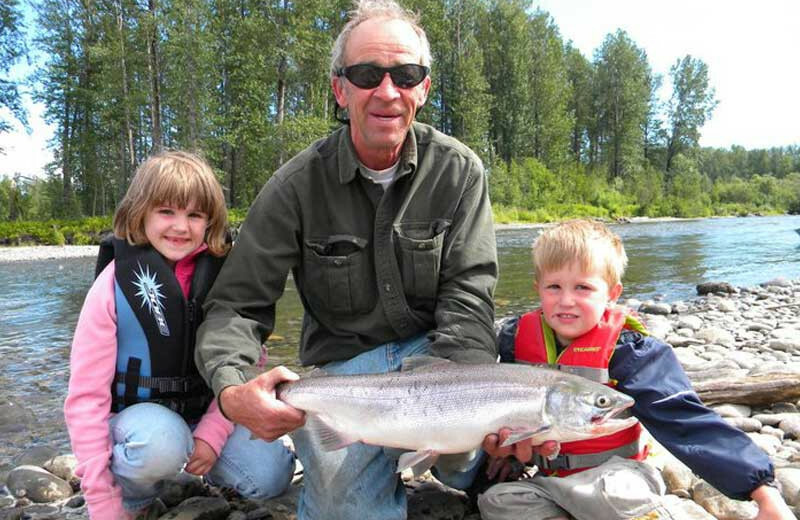 An Alaskan Family Experience Offering Great Service and Excellent Fishing! 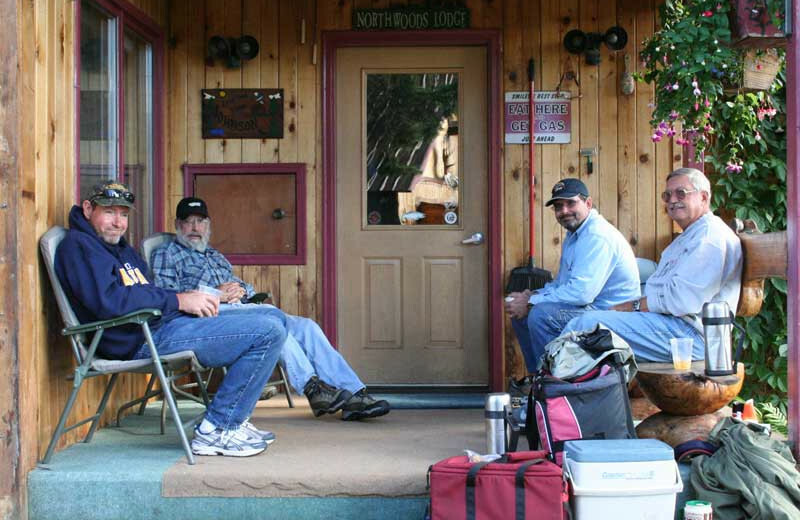 The small, family-run Northwoods Lodge offers the ultimate in personalized fishing services. 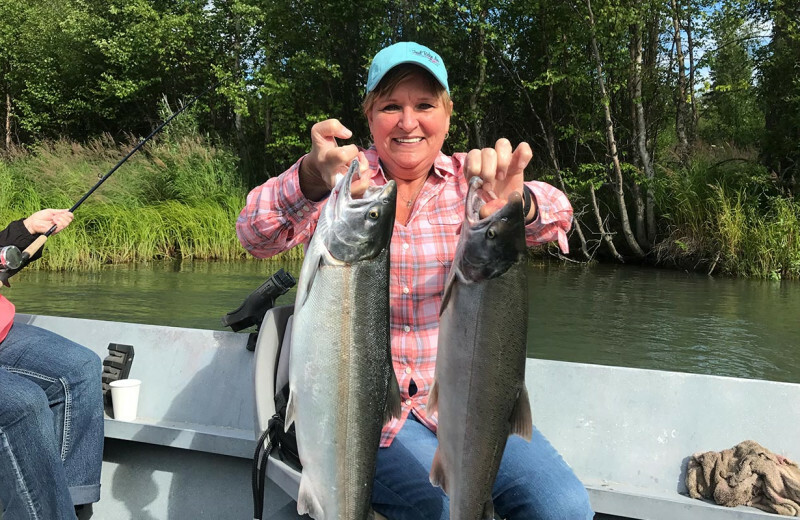 With a maximum of 12 guests and three to four guides on staff, this is a deluxe fly-in Alaska fishing resort situated on Fish Lakes Creek, in the heart of south-central Alaska's best angling. 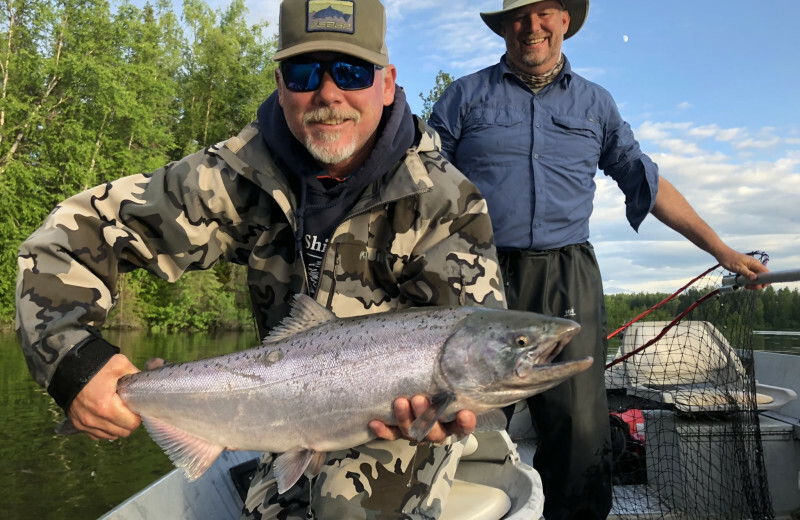 Your day begins with an on-boat breakfast as a personal, experienced guide takes you to spin or fly fish with top-of-the-line equipment on custom-built boats. 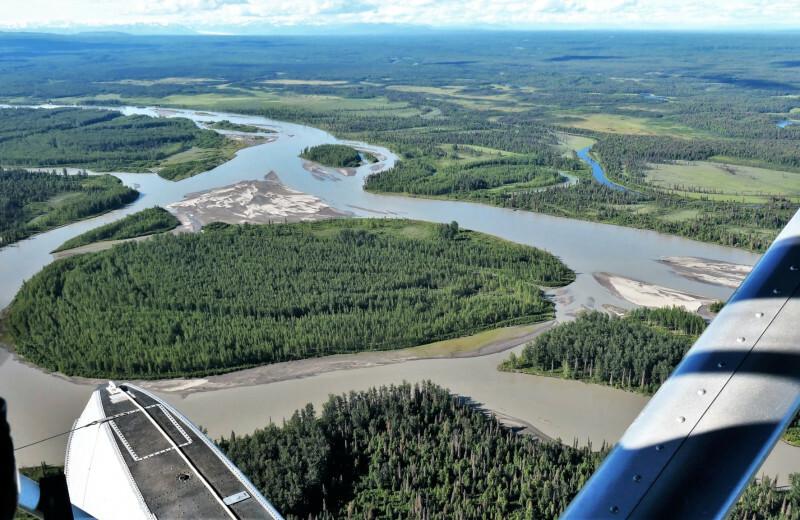 You'll travel through rivers that have the most productive salmon runs in Alaska. 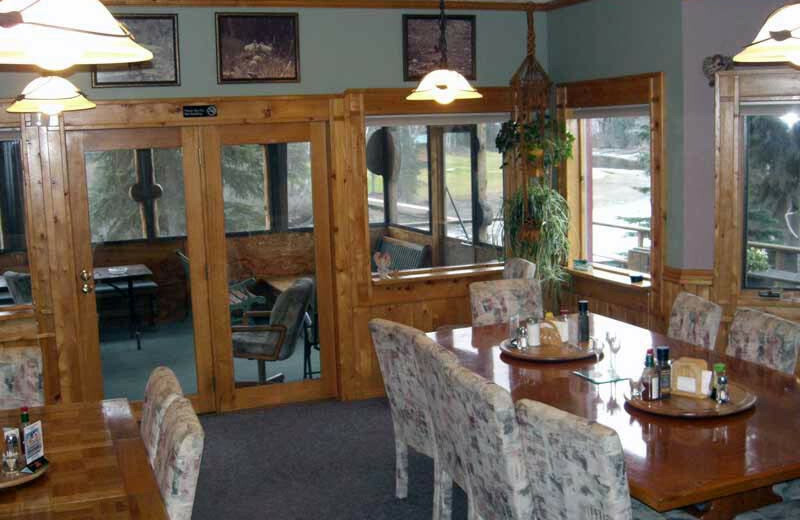 Come back for a hearty buffet, soak in the hot tub and take a quick nap in your comfy cabin or on the lodge's spacious deck before heading out again. 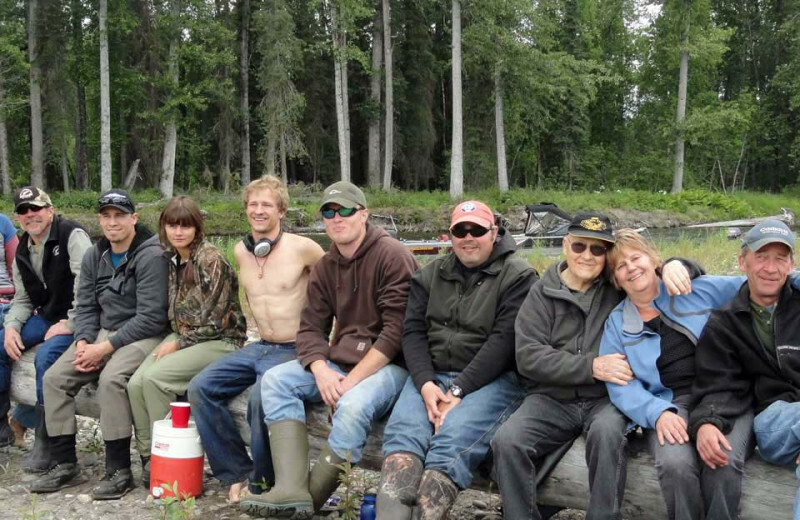 At Northwoods, you'll be treated like family, leave as a good friend, and fish like you've never fished before! 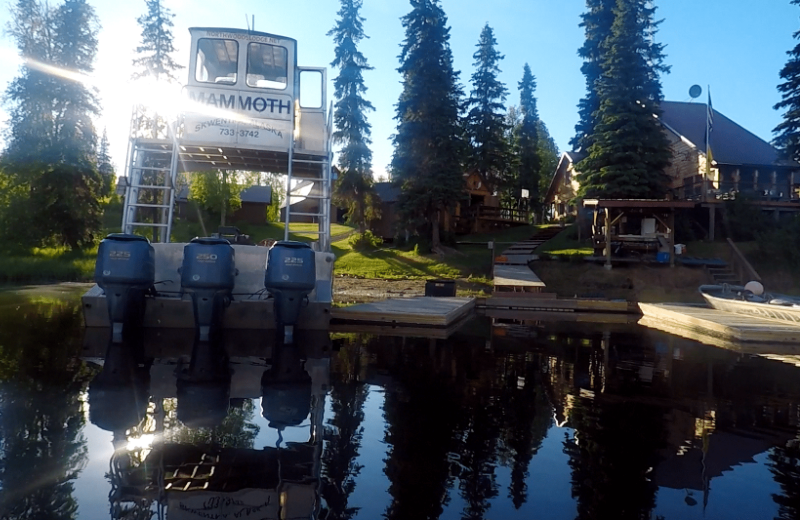 Everything is included in one price at Northwoods Lodge, from incredible fishing to air transportation from Anchorage. Your stay includes eight hours of guided fishing per day as well as your rod, reel and tackle. 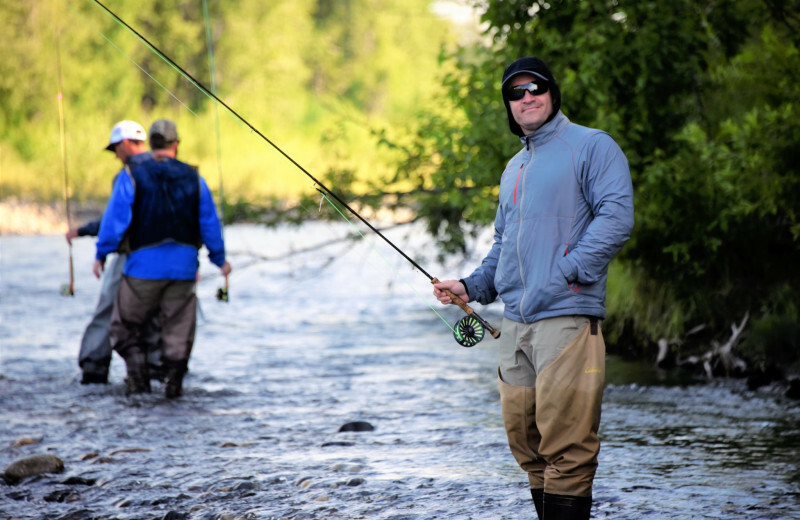 The lodge also provides you with hip boots for your fly fishing excursion. The staff will clean the fish you catch, then wrap and freeze them. 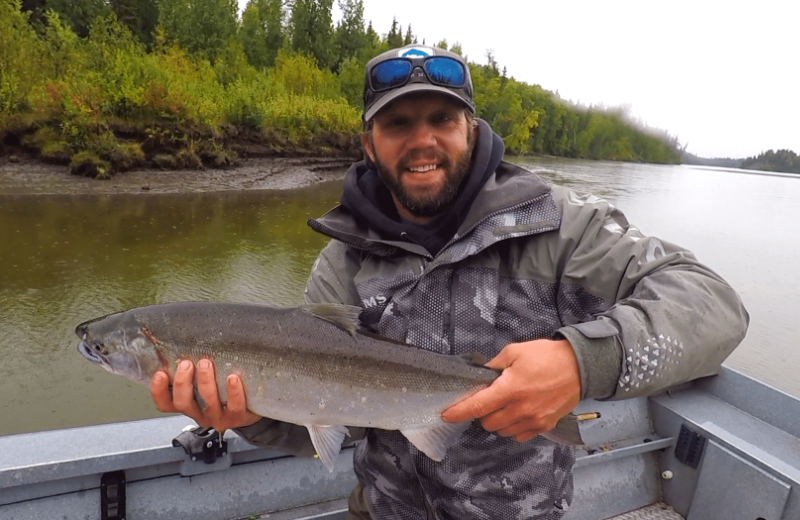 This is an Alaska fishing trip at its best! 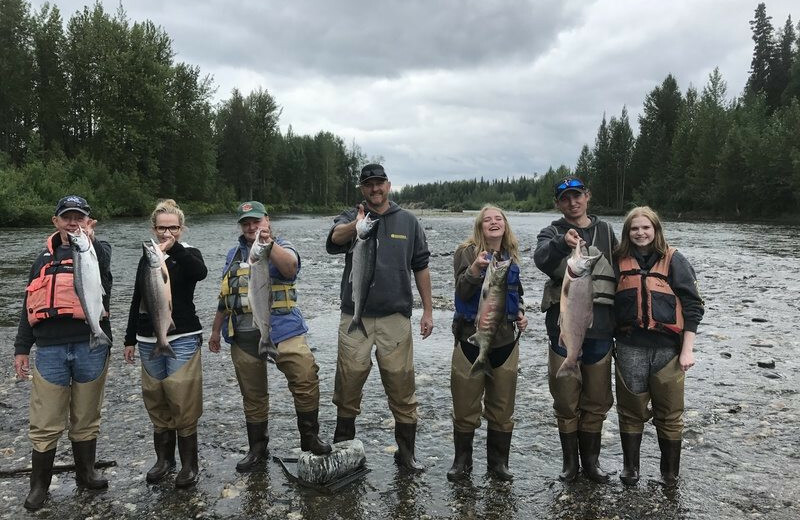 Spend your days spin or fly fishing in some of the most abundant salmon waters in the world on your next family vacation! 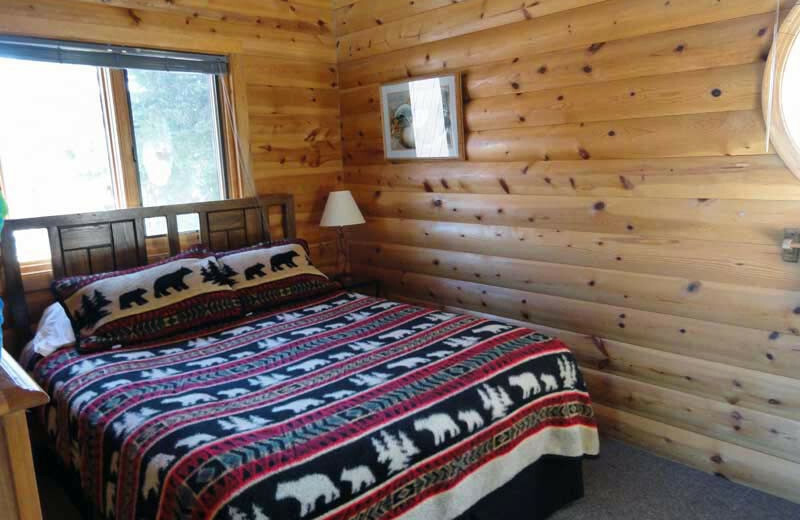 And after your exciting adventure, return to Northwoods Lodge where you can lounge in the hot tub, indulge in delicious food, and relax together in your spacious cabin. 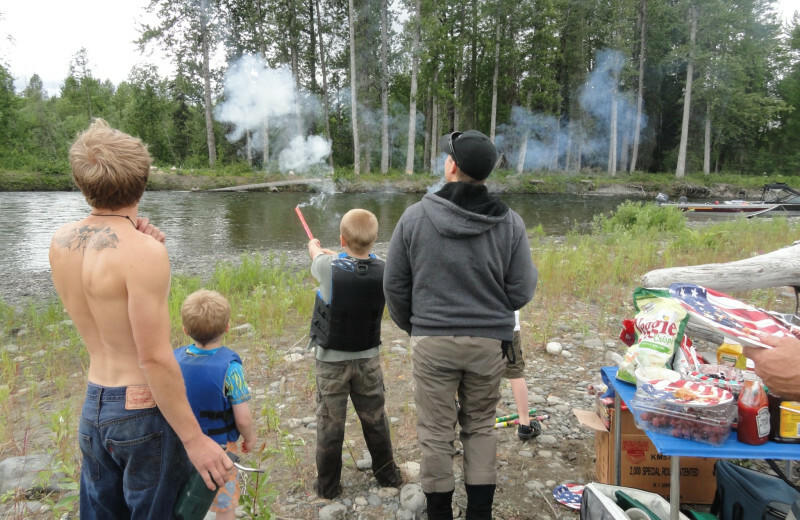 This is the fishing adventure your Alaska family vacation won't be complete without! 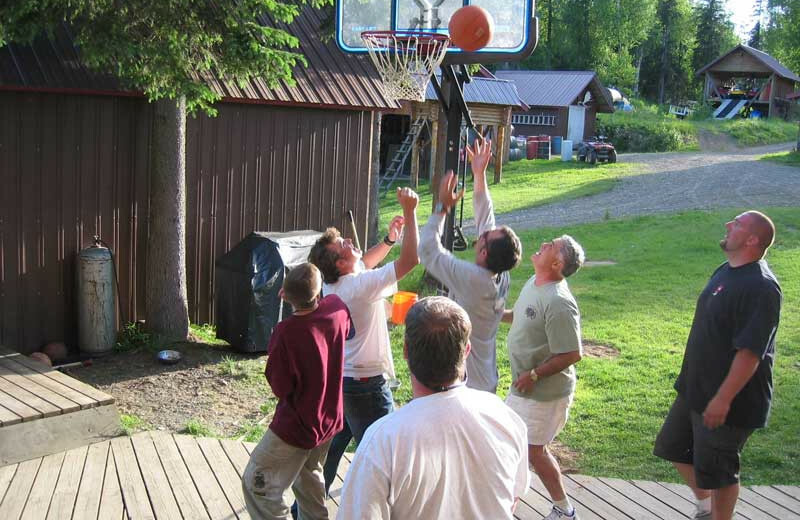 Your next corporate retreat can be a memorable event for everyone at Northwoods Lodge. 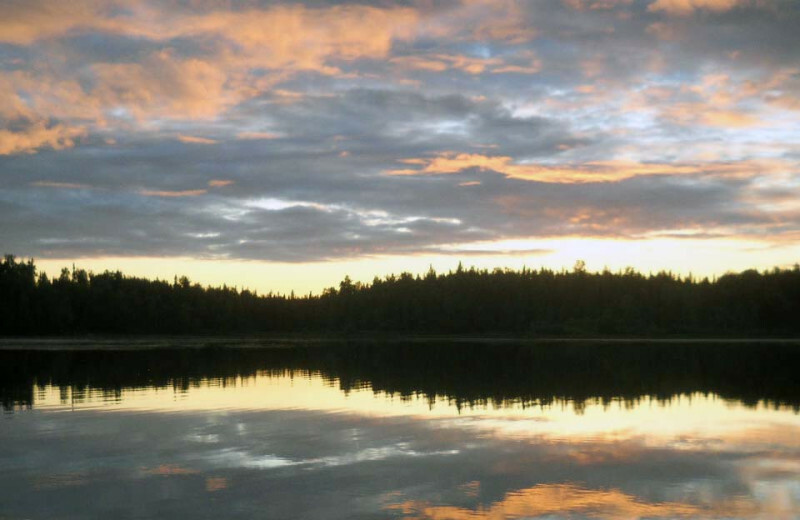 For an unforgettable fishing trip, with experienced and knowledgeable guides, Northwoods is your only option. 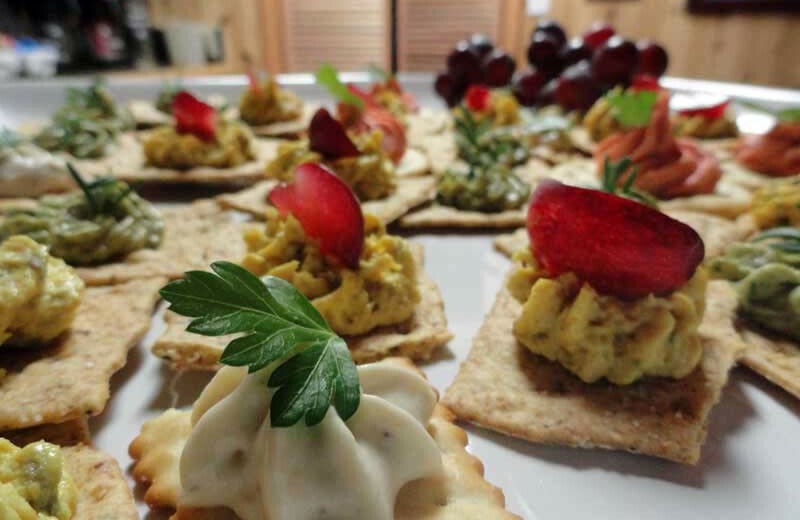 When you are done with your day on the water, head to the lodge for a five-course, gourmet meal. Mix a little work in when you have time! 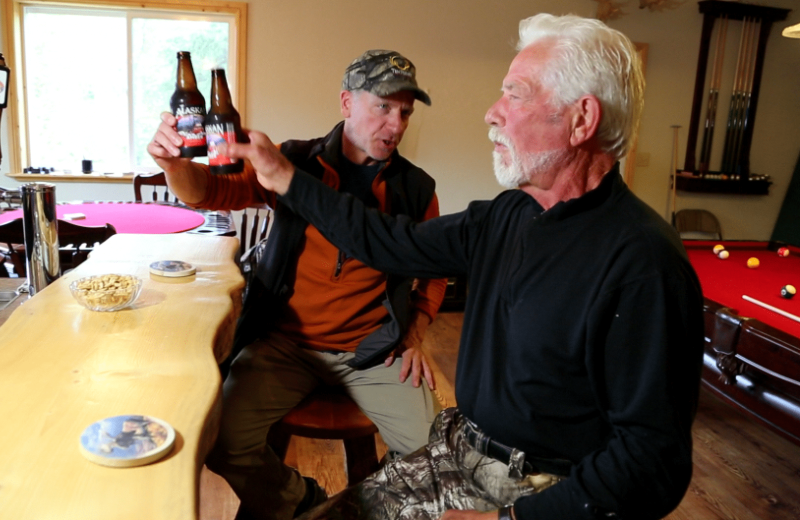 Families with walls full of trophy fish will love a reunion held at Northwoods Lodge. 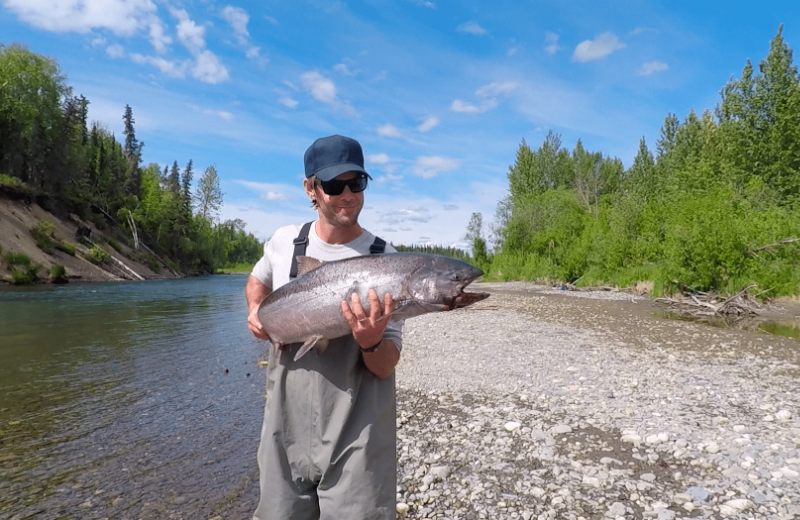 Experience the beauty of Alaska while casting your line into some of the most productive salmon runs in the state. 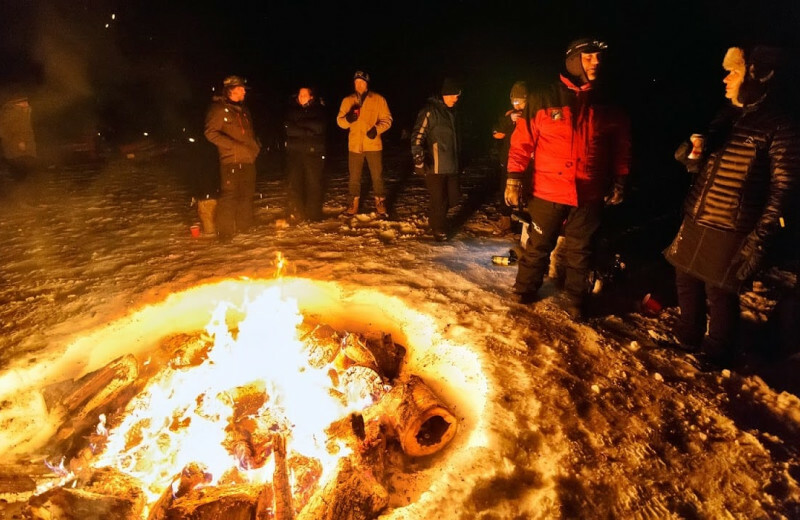 Holding your get together in the winter? 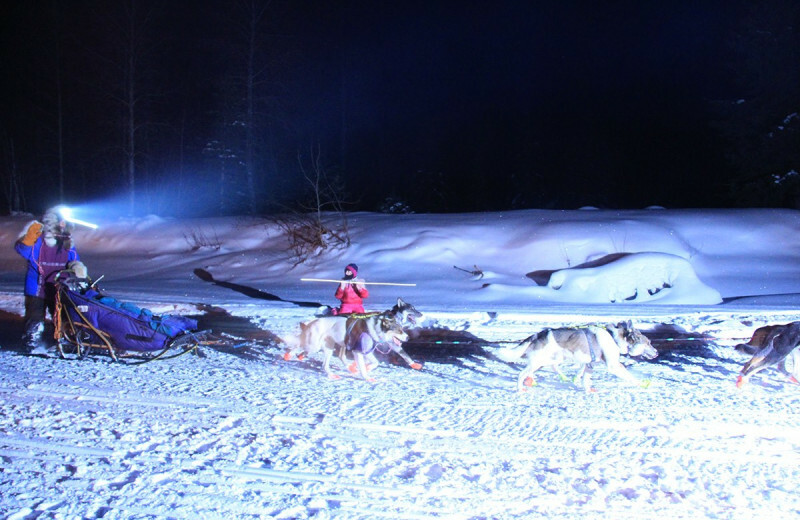 Try snowmobiling, dog sledding, or plan your trip around the Ititarod sled dog race. 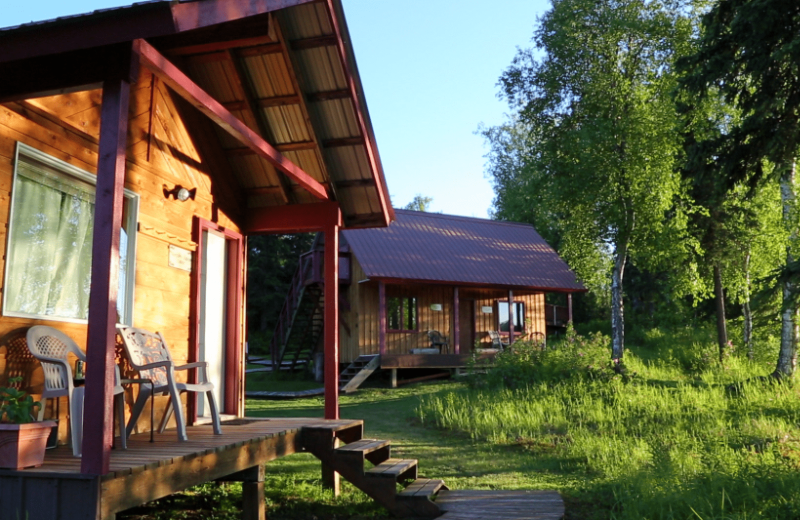 With its exclusive location and small size, Northwoods Lodge ensures you can experience the natural beauty and wildlife of Alaska without the crowds. Northwoods offers fly outs directly from the lodge for aerial viewing of moose, grizzly and black bears, wolves and more! And if that's not enough, plan a day of fly-fishing and get even closer to Mother Nature! 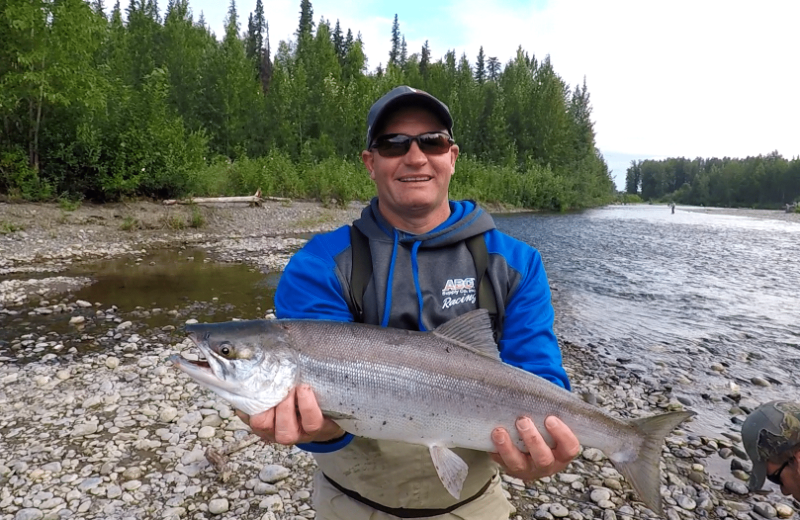 Sample fishing only Alaska can provide at the Northwoods Lodge. 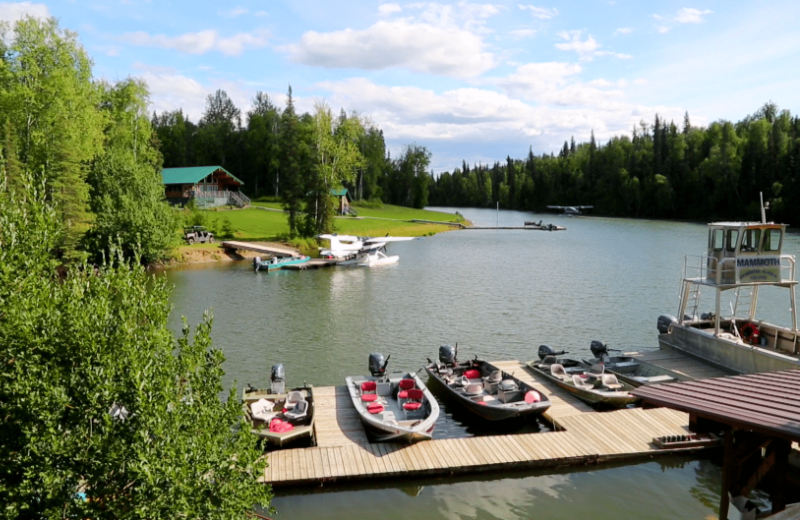 With 20-foot custom boats, top-of-the-line G-Loomis rods, and a location on Fish Lakes Creek with six other creeks within boating distance, this is the all-inclusive Alaska fishing resort you've been looking for! Whether you're an expert angler or new to the sport, you're guaranteed to have an incredible time! 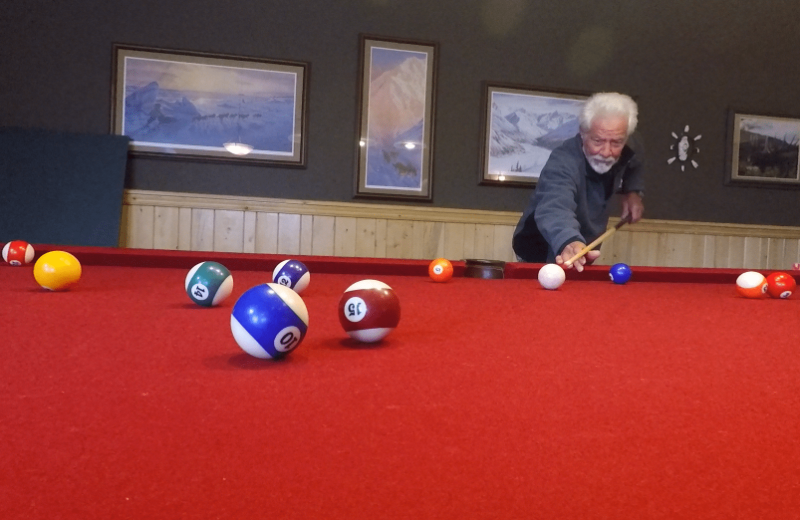 At Northwoods Lodge you and your special someone will enjoy a unique and active Alaska getaway! The lodge offers the ultimate seclusion and is only accessible by boat or plane. 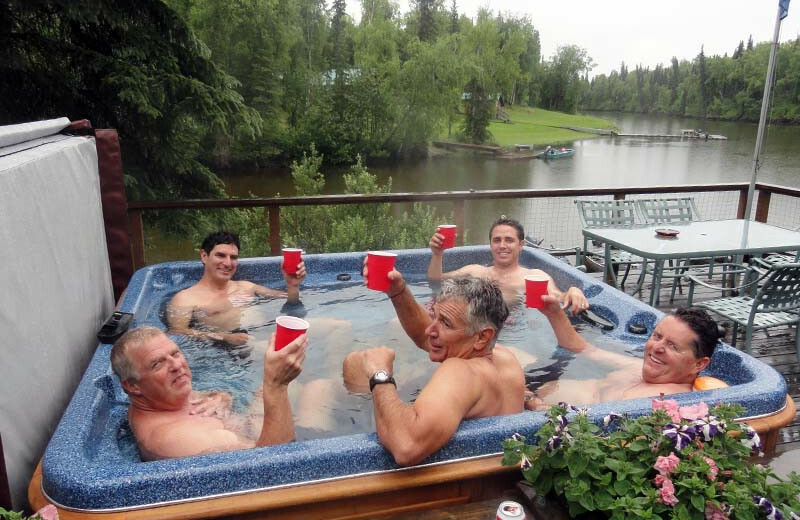 Fish together and then relax in the hot tub before an acclaimed gourmet salmon dinner! 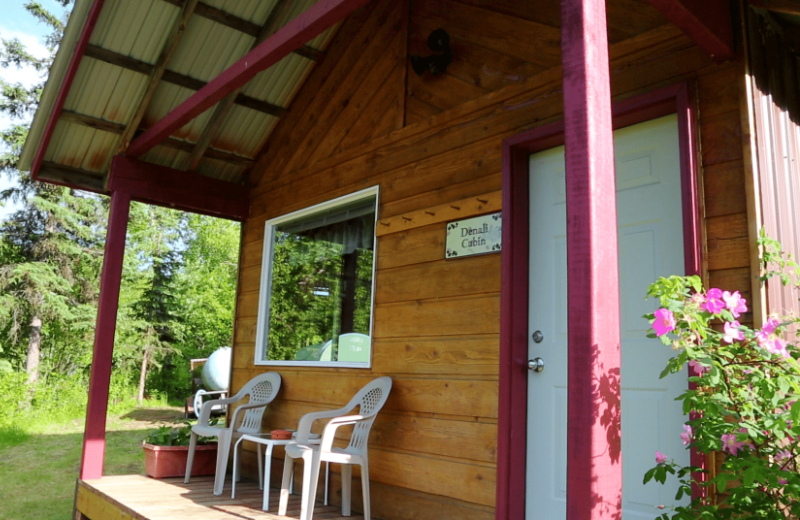 Enjoy the privacy of your own cabin complete with a patio and bask in the peace and quiet of this natural escape! 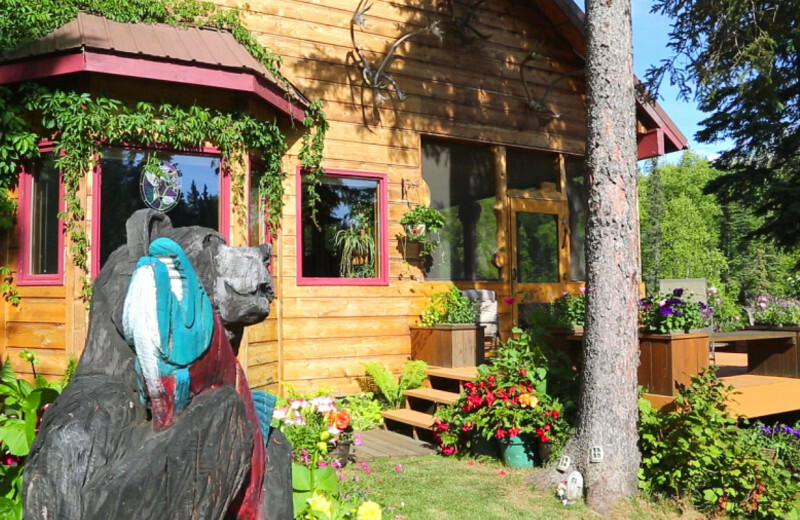 For a luxury vacation away from it all, head to Northwoods Lodge in Skwentna, Alaska. 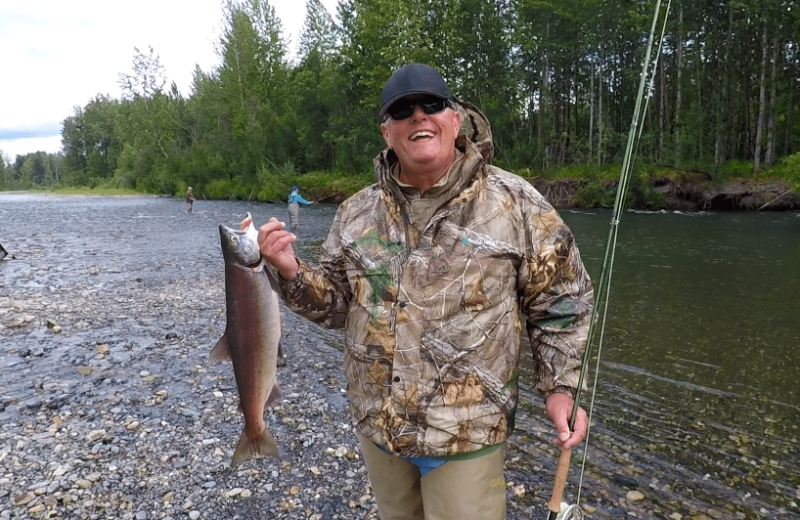 Plan a fly-in fishing adventure in search of king salmon, silvers, rainbow trout, and more. 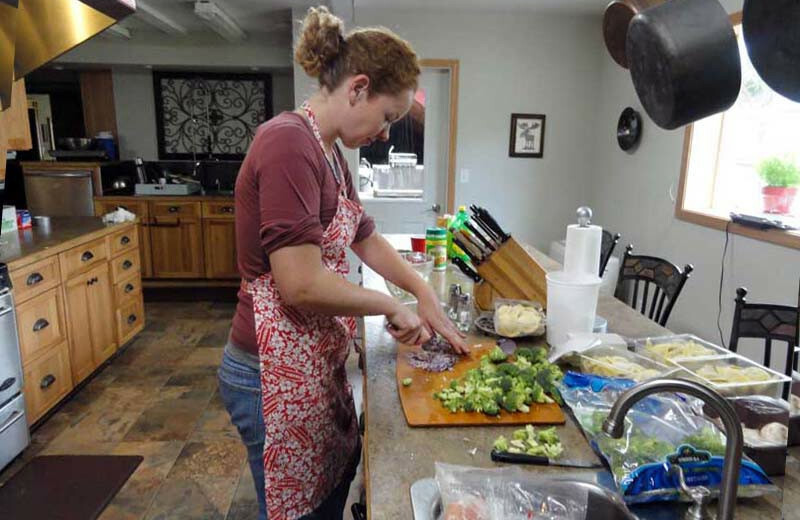 Lodge guests enjoy gourmet meals along with great amenities like a game room, sauna, hot tub, along with a small basketball court and horseshoe pit. 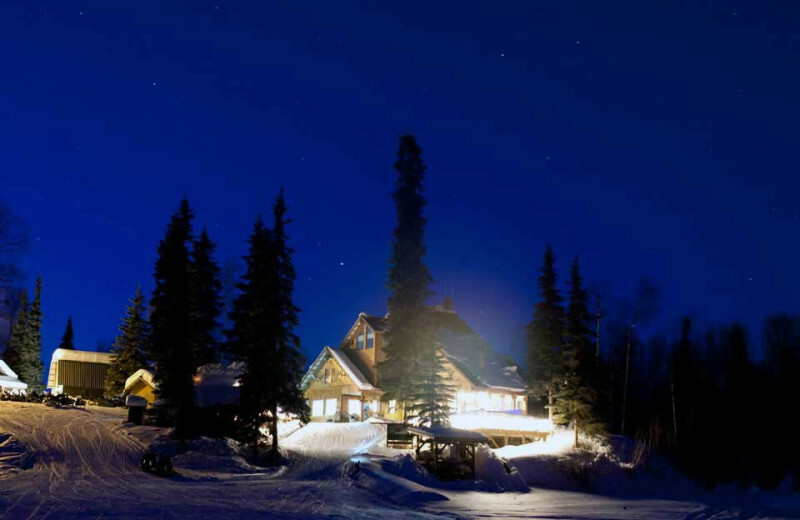 Redefine luxury during your next Alaska getaway! 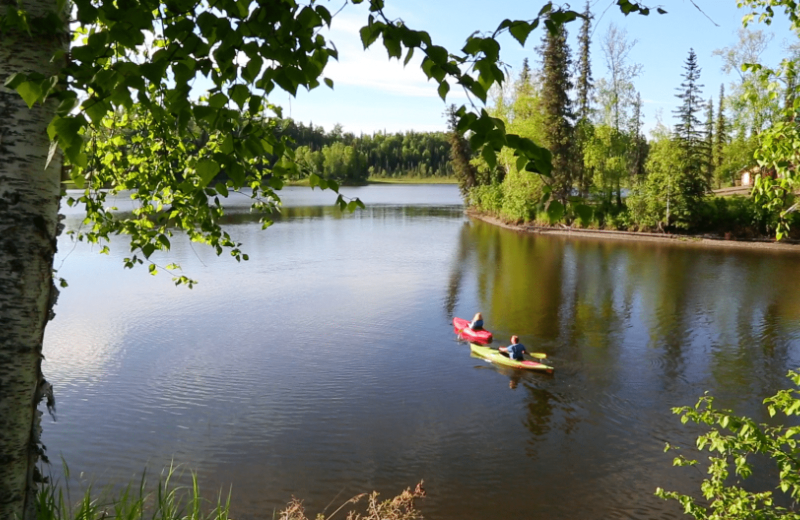 Located on Fish Lakes Creek, you're literally surrounded by water when you stay at Northwoods Lodge. This is a fisherman's paradise! Rent a boat and explore the plethora of creeks and cast your line for a variety of local fish. The beautiful views of the area only add to your incredible Alaska adventure! At Northwoods Lodge you and your special someone will enjoy a unique romantic honeymoon getaway! The lodge offers the ultimate seclusion and is only accessible by boat or plane. Fish together and then relax in the hot tub before an acclaimed gourmet salmon dinner. 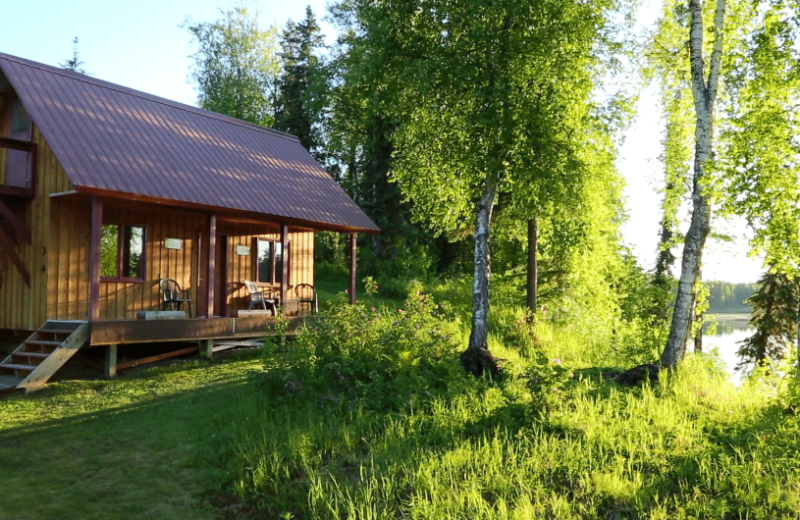 Enjoy the privacy of your own cabin with your special someone! 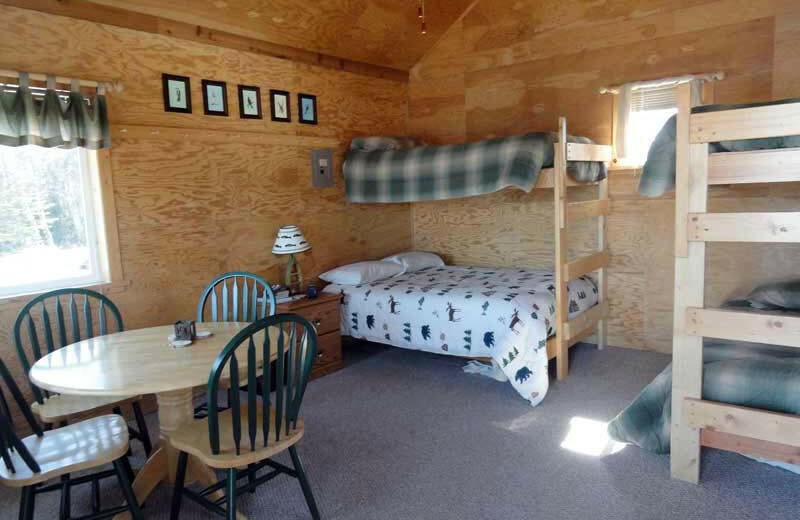 Northwoods Lodge guest cabins have full size bathrooms in two cabins and the other cabins use a bath house nearby. 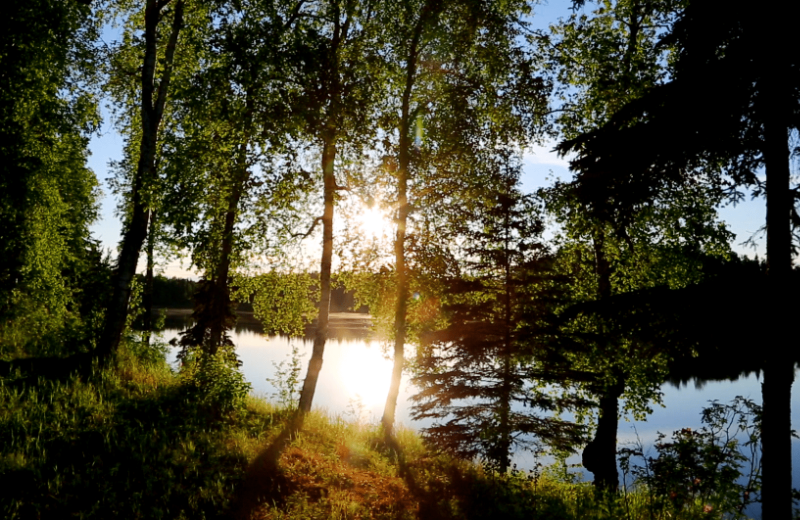 Enjoy a fantastic view of Fish Lakes Creek from your cabin deck or socialize on your front porch. 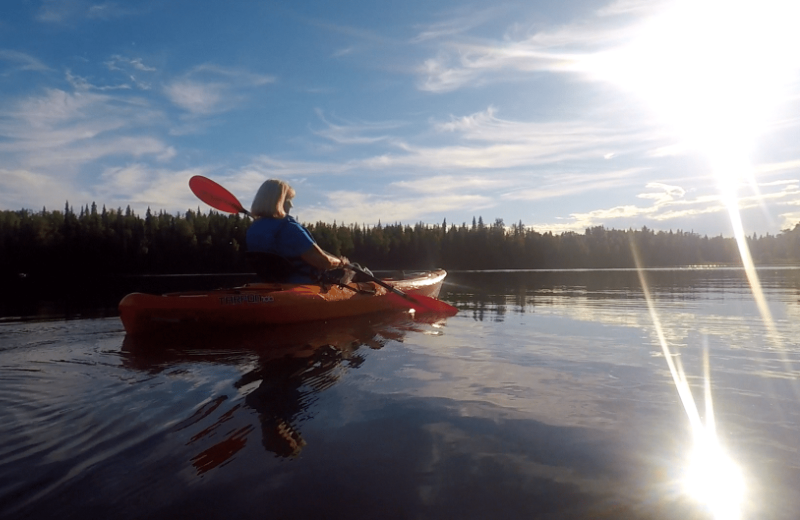 From these places you can immerse yourself in an Alaskan sunset or watch for moose in the shallow waters! Guides at Northwoods Lodge are CPR-certified and first aid-trained, Coast Guard Licensed, and proficient in both fly and spin fishing. You'll fish from custom boats with the best rods and reels in the business, and the waters are so productive, you almost always achieve your daily bag limit. 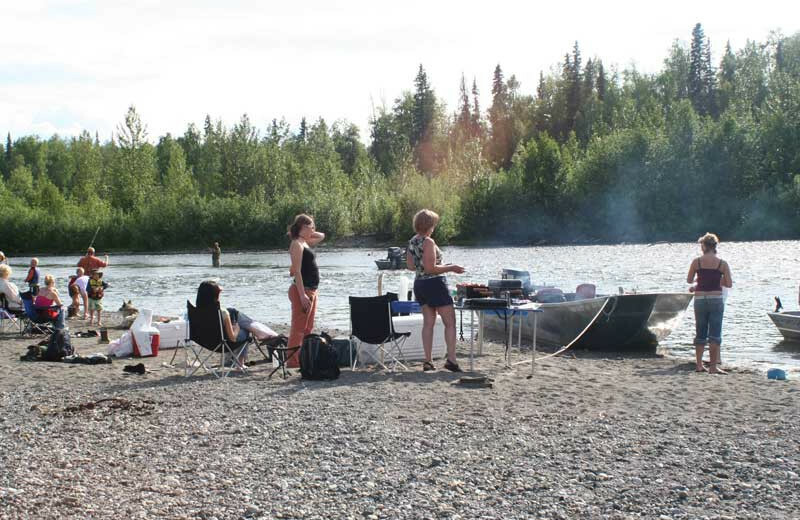 There's no better place than this for your next Alaska fishing getaway! 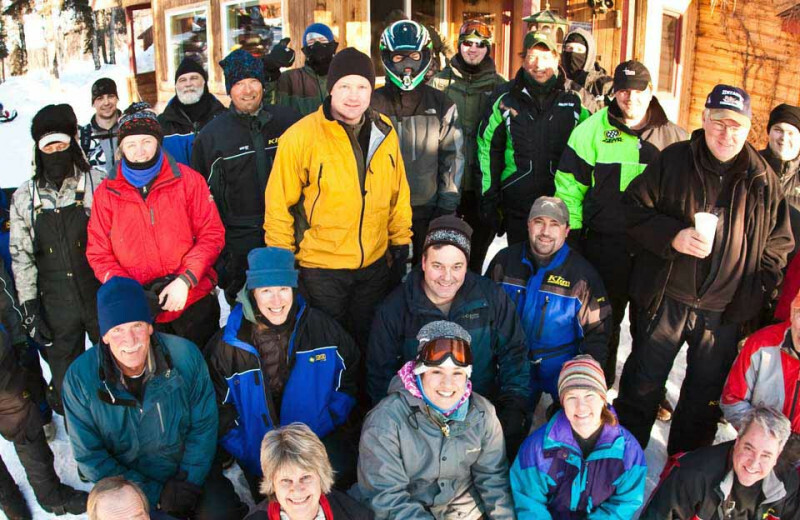 Plan your next group event at Northwoods Lodge. 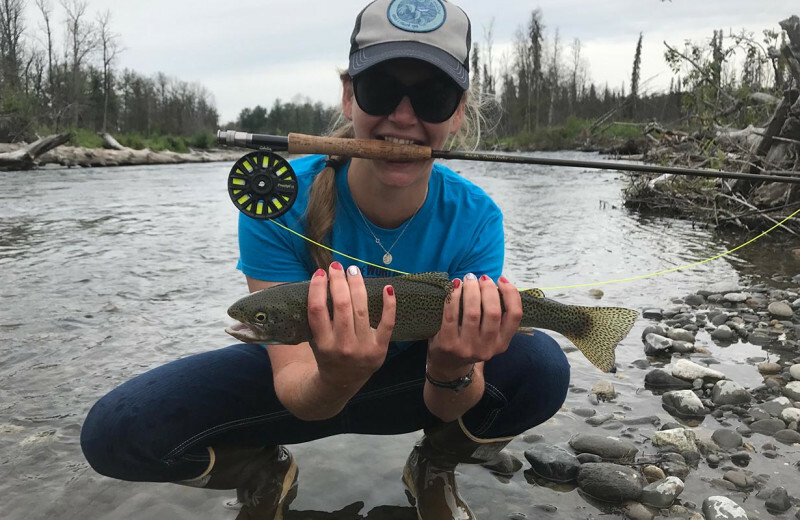 For an intimate corporate retreat choose Northwoods Lodge, where excellent fishing, divine cuisine and a helpful staff will make sure it's a trip your team will never forget. For more information please call +1 (800) 999 - 6539 or Send Inquiry. 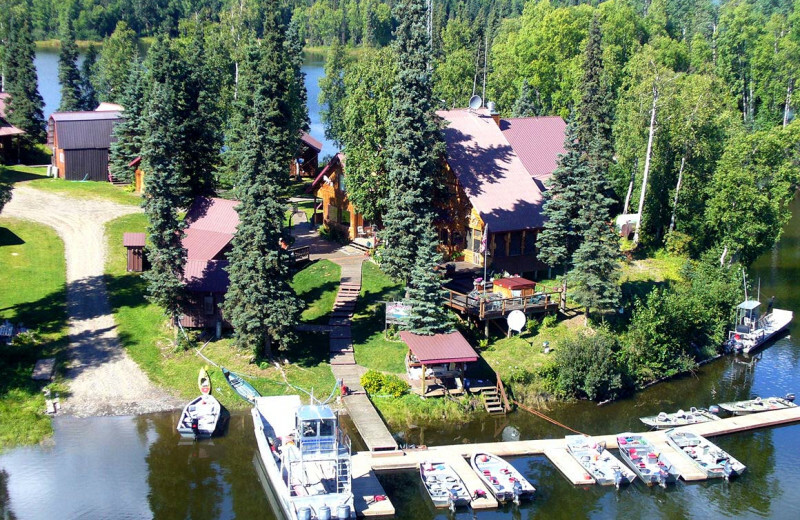 This property is ranked number 1 on Top Alaska Luxury Fishing Lodges . Read about it here.